The jalapeno popper stand by Steven Raichlen is stainless steel and hold up to 18 chili peppers. This jalapeno popper stand comes complete with a wood handled corer and recipe card. 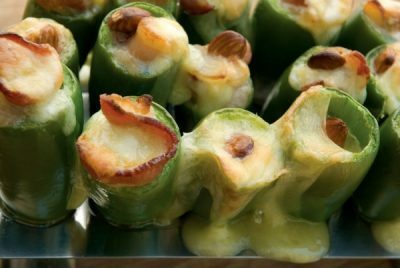 This is the jalapeno popper stand that we use around here so here are our thoughts on it. 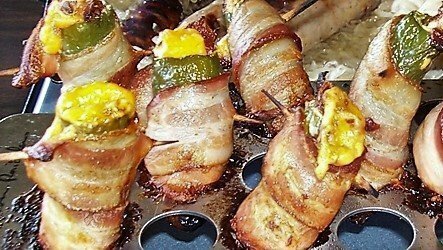 Here is a link to our article on how to grill jalapeno poppers showing this stand in use. 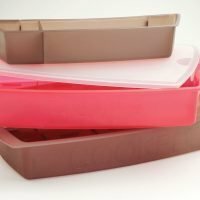 First off this jalapeno popper stand is packaged in a colorful cardboard box, making it a great gift idea. It also includes a recipe card, this alone puts it above most other jalapeno racks. When the rack is removed from the box it looks impressive. The rack is made of stainless steel this is the good shiny stainless and it also has SR etched on one of the handles. 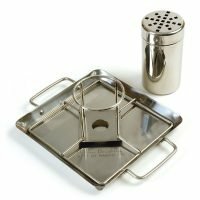 The jalapeno popper stand is a one piece design and the stainless steel is thicker than most jalapeno racks. This promotes even heat and means it will last a lifetime even if abused. The downfall with almost all of these jalapeno popper stands is the one inch hole size, which seems to be standard. 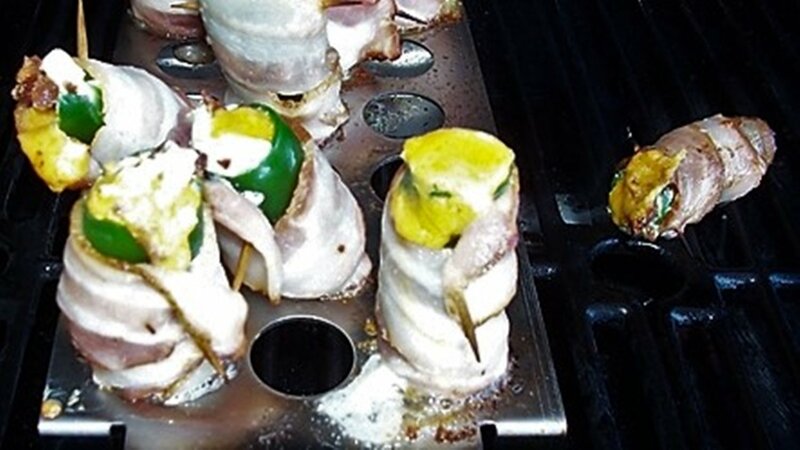 This only allows smaller peppers to be used and if you bacon wrap them you have to find really thin ones or use a toothpick through the bottom to hold them in place and keep them from falling out of the stand. As for the corer: It worked great for cutting the tops off of the peppers but its circular design limits it’s use to larger peppers. So if you read the paragraph above you need to use smaller peppers with this jalapeno popper stand but the corer only works on larger peppers so that is questionable at best. 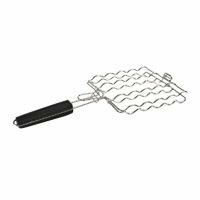 The simple one piece design has two handles on either end of the rack, they are perfectly sized so that you can pick-up or move the rack around your grill with your tongs. We spray the top with a non-stick cooking spray before use so the melting cheese wont stick. So cleaning this jalapeno stand up is a breeze. If you get a really stuck on mess throw it back on the grill and heat it up again. 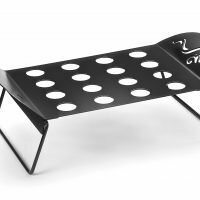 The jalapeno popper stand is 10 x 4.75 inches and has handles on either side. 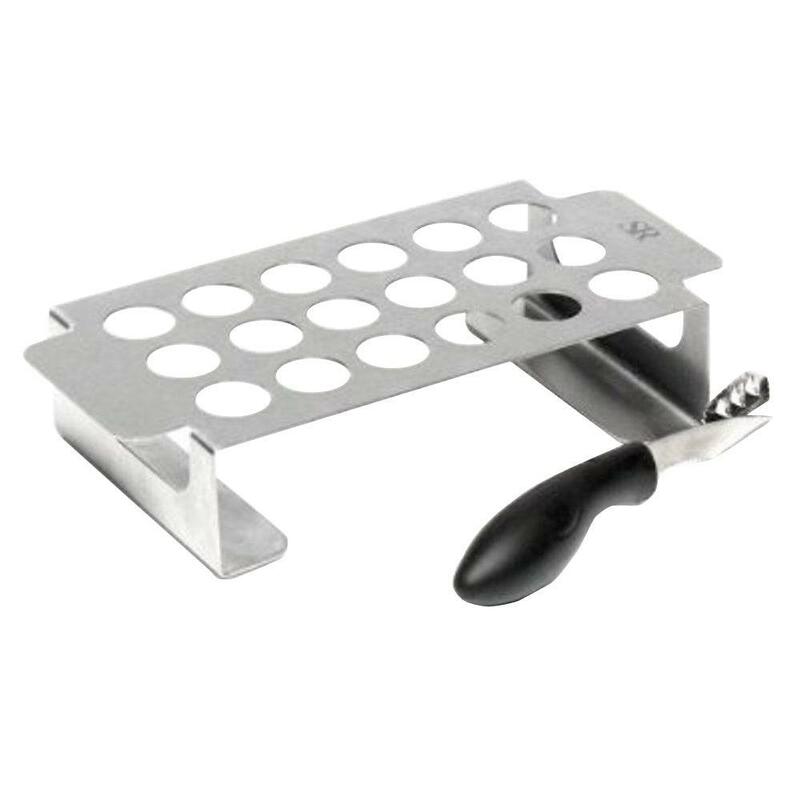 Great quality jalapeno stand except for the small 1 inch hole size and the corer could be better designed. 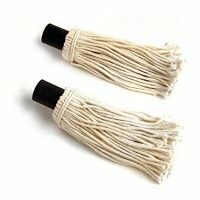 We only post reviews for products that we have actually used.